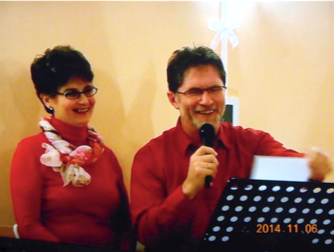 For over 11 years Pastor Gyuri Varga and his wife Aniko have ministered in Erd, Hungary with the Erdliget Bible Fellowship. They are one of the 5 founder families. The church has grown steadily and currently has over 65 members. They are blessed with over 40 children,30 youth and over 20 visitors as well. Midweek services occur in several home groups. They outgrew their church building and are searching for God’s leading. Their church has a meaningful ministry in the nearby public school which gives them many opportunities to share Christ through summer camps, english clubs and solid rock clubs during school year, teacher’s trainings, counseling, etc. 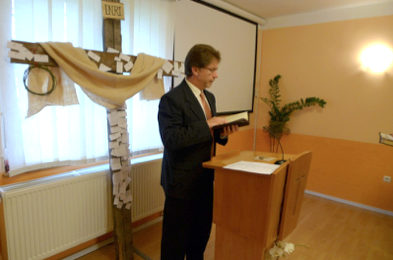 Pastor Varga also leads the Hungarian Baptist Union’s family ministry – they together hold marriage retreats, seminars and parents’ clubs all around the country. Aniko leads the Hungarian Baptist Union’s women’s ministry. Her team coordinates nationwide trainings, conferences, prayer days. 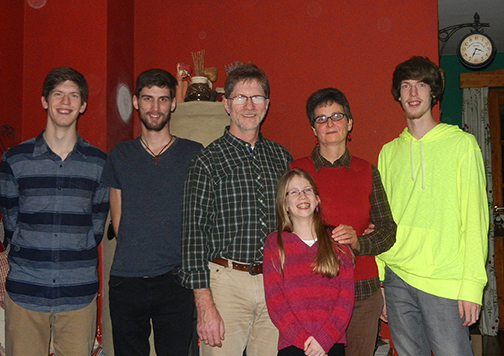 Pastor Varga and Aniko have three sons (1993,1995,1997) -two in college- and one daughter (2004). They trust in God for His provision in their growing needs.